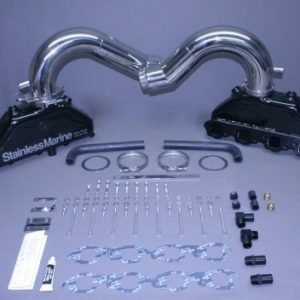 Set Of BB Manifolds 8.1 / 496 Merc With Stainless Risers With Special Brackets. 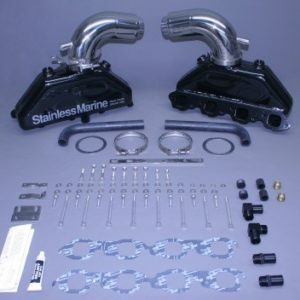 Stainless Marine now offers its time tested system for the 496, 8.1 Mercruiser Chevy engine. This is the same exhaust manifold that has proven itself time and time again both on the race circuit and on pleasure boats. It is designed with the Hi Torque in mind for both reliability and ease of installation. It, like all Stainless Marine products, carries the best warranty on the market along with the assurance that is made by a company known to stand behind their products.